A lovely five color diamond halo ring styled with 6 round shape diamonds in a 4 prong setting. 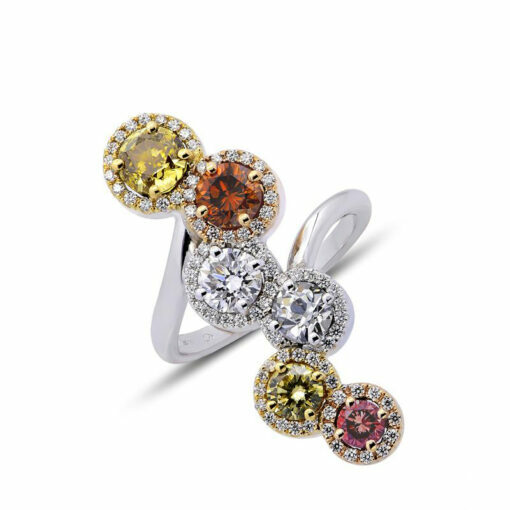 The fancy color diamonds are all certified by GIA. 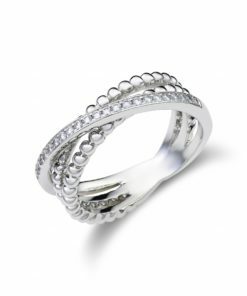 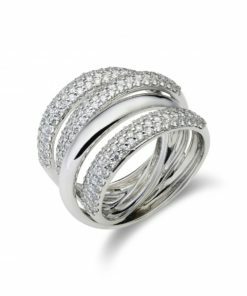 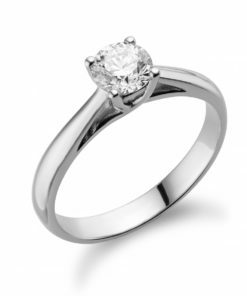 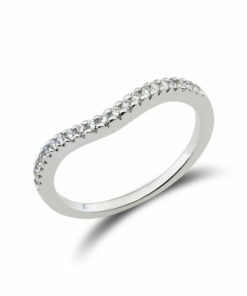 These stones are set with high quality brilliant shape diamonds in separate open pavé halos. 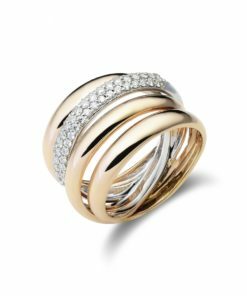 The ring is mounted in 18k white, pink and yellow gold.